Below: caravan example. Below that; site at Brookvale recently set up. Mirrors, concentrating energy to light torches, were the first known form of solar energy. Greek scientist Archimedes first proposed using larger mirrors to burn holes in the sails and wood of advancing Roman ships around 200 B.C. The Australian Federal Government changed the encouragement of consumers to adopt solar methods of generating their energy needs from 1 January 2011. The Renewable Energy Target was split into the Large-scale Renewable Energy Target (LRET) and the Small-scale Renewable Energy Scheme (SRES). More information about the rules and regulations and what they do and don't cover is available on their Office of the Renewable Energy Regulator website. With the Green Expo on this weekend and a good deal of discussion about solar panels as a viable additonal source of energy or as a way to reduce pollution and your electricity bill, we contacted a company who has not only contributed to Pittwater projects and invested in our community but have also worked in placing these panels locally to get an overview of just what solar panels currently are. by Stewart Everitt of AustraliaWideSolar. These days going solar can be easy, a good investment, and a viable way to reduce carbon emissions. A home solar system is comprised of solar panels, the racks for putting the panels on your roof, electrical wiring, breakers and an inverter. Solar panels are mounted on your roof and wired together so you will produce your own electricity. 1.Does the install company have a proven track record? 2.How is the system attached to my roof? 3.Does the installer use the correct DC cable rather than AC cable – The wrong cable can reduce power yield by thousands of $’s over the life of the system. This is a critical part of your system to ensure the power is used most efficiently. 4.Are warranties of the manufactures supported locally & how are warranty claims handled? 5.Is my REC discount locked in from when I deposit? This can vary the price of the system by more than $2,000 if not locked in. 6.How long to the installation from deposit? 7.Will the installer do a site inspection prior to the install day to ensure a smooth installation? 8.Will the installer sell the cheapest thing they have in stock OR what is best for your roof and budget? Pollution in our environment. By using Photovoltaic (PV) Solar Power you can produce 100% clean electricity for a greener environment. 2. Reliable: Renewable energy Solar panels are silent and have no moving parts, meaning you can be guaranteed a long lifespan from your system. Most high quality panels come with a 25-year warranty. Investing in a better quality system will increase the power yield and give far more certainty with regards to the long warranties. 4. Decrease or Eliminate Energy Bills: Going solar allows you to generate free energy, potentially saving you thousands of dollars in the long-term. Given that electricity costs are expected to rise considerably over the coming years, these savings will only increase over time. See the charts below for a typical 3kW system. 5. 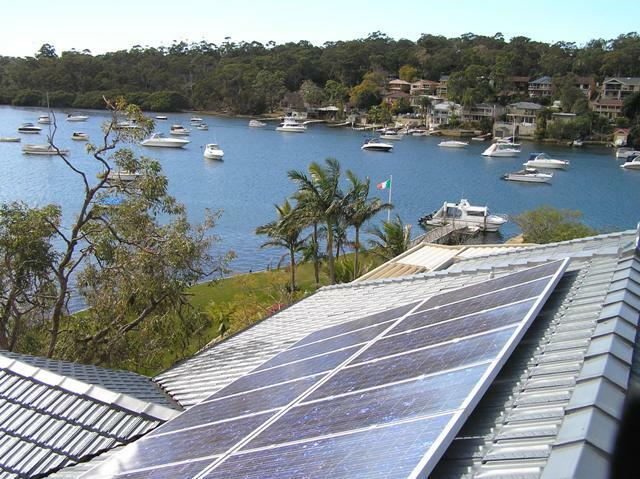 Generous Government Incentives now available: The Australian Government is now encouraging all homes and businesses to go solar with substantial incentives available. The average size of a household grid-connected solar PV system is about 3 kilowatts which has a PV panel area of about 28 square meters. A system of this size should produce about $1,000 in electricity credits to your account p.a. Don’t fall into the trap of a discount solution, these systems need to be installed by a well established professional team who have quality top of mind. Short cuts can save money, however in order to maximize the results quality counts.